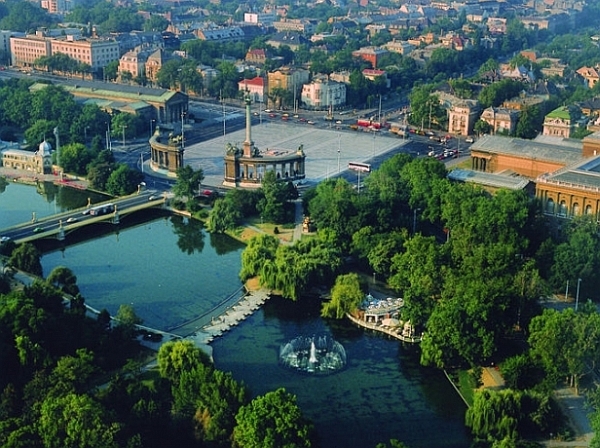 The famous buildings of the capital’s premier park were erected by enthusiastic Budapest citizens to commemorate the country’s millennium in 1896. 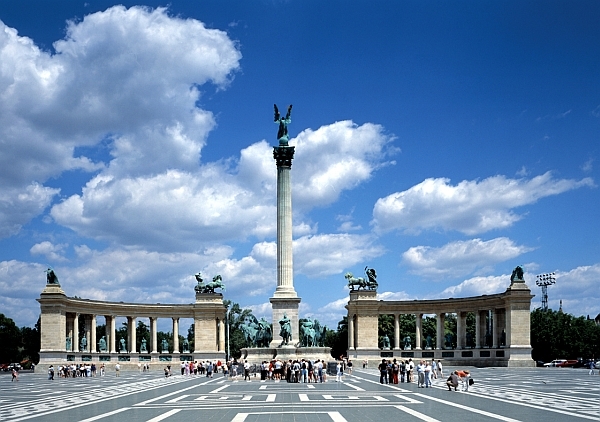 At the imposing Hősök tere (Heroes’ square) the Archangel Gabriel raises the Holy Crown to a height of 36 m. The centre of the square is occupied by a colonnaded monument commemorating the millennium of Hungary’s conquest. A group of sculptures represent the Magyar chieftains, including their legendary leader Árpád, who led the conquering tribes from Asia into the Carpathian Basin. Between the pillars statues of kings, generals and politicians of Hungary can be seen. 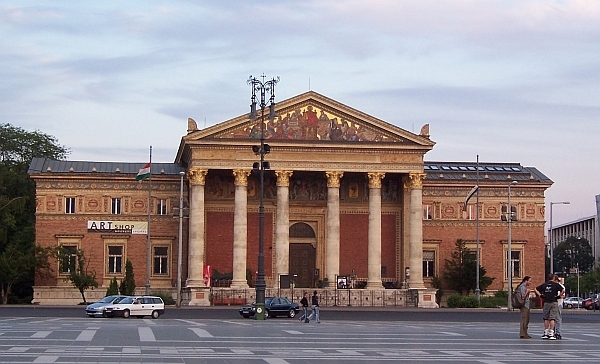 On opposite sides of the square are the two principal art museums of Budapest. 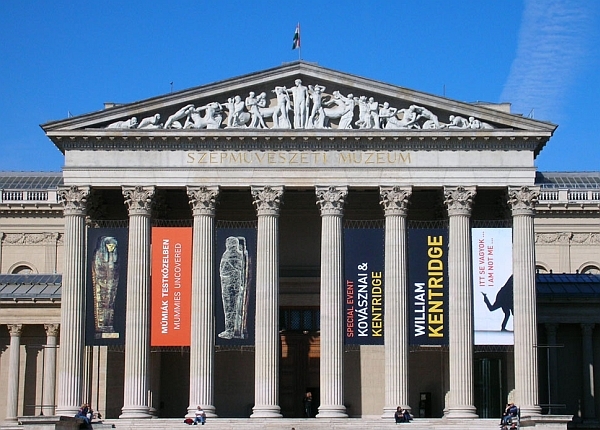 The Museum of Fine Arts contains the country’s prime art collection. Its old masters section boasts the largest collection of Spanish masters outside Spain as well as an equally superb collection of works by masters of other nationalities, including Bellini, Brueghel, Corregio, Dürer, El Greco, Giorgione, Goya, Murillo, Leonardo da Vinci, Raffael, Rembrandt, Rubens, Titian and Velasquez. Famous pieces from the 19th century include those by Delacroix, Gauguin, Monet, Renoir and Corot. The other museum is called Műcsarnok (Palace of Arts), and it is the country’s largest exhibition hall, a suitable venue for major temporary exhibitions. Erected on Széchenyi Island, Vajdahunyad Castle is an imitative anthology of some of old Hungary’s famous buildings and architectural styles ranging from the Romanesque to the Baroque. Of the imitation buildings, the most important is the replica of the Castle in Vajdahunyad in Transylvania (today in Romania). It houses the Agricultural Museum, the first of its kind, established in 1896. 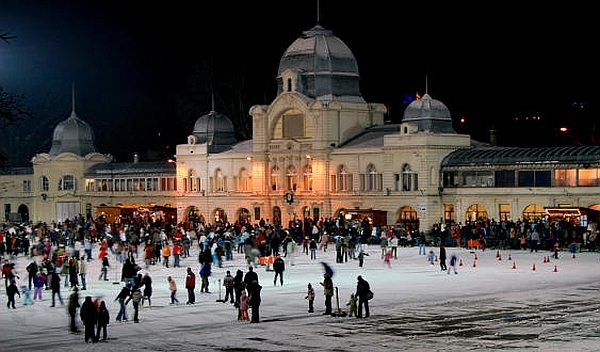 The nearby lake is a romantic setting for boating in summer and ice skating in winter. The Széchenyi Baths complete with thermal pools, Turkish steam baths and tubs, swimming pools and a water park (11 Állatkerti körút) is Europe’s largest spa baths. The Transport Museum (11 Városligeti körút) houses one of Europe’s oldest collections of transport history memorabilia. 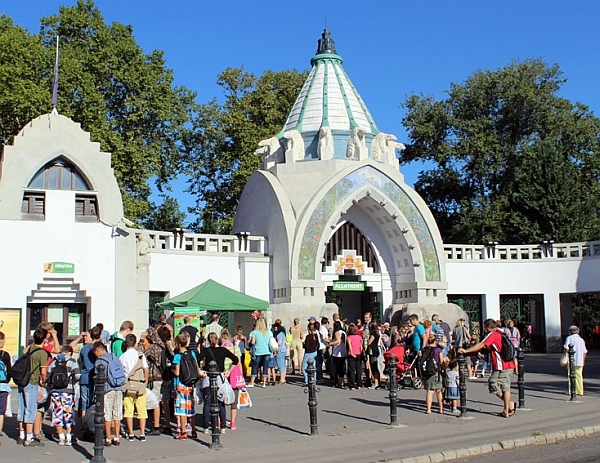 The 135-year-old Budapest Zoo, built in the Art Nouveau style, was the first of its kind in the world. The other popular amusement facility in the City Park is the Metropolitan Circus. The Palace of Wonders at 19 Váci út is Central Europe’s first interactive ‘playhouse’ of science, popular with children. So is the Park of Hungarian Railway History (95 Tatai út) with trains that visitors can drive. Heroes’ Square This immense square attributed to the architect Albert Schickedanz is surrounded by the Museum of Fine Arts and by the Art Gallery.